My WordPress laboratory and repository of random information! When Liz was going through a period of major depression on good days she was afraid to say that she was getting better. The up and down nature of recovery caused her to fear that just talking about feeling better would jinx her progress. So she came up with the code word cabbage instead. Exploring different avenues of healing she tried visualizing colors and scents to describe her moods. Lavender was the color that provided the most comfort. Art creation was a big part of her recovery. Now that life is much closer to normal she is putting on her second art show in Syracuse in May. ‘The Strength in Our Scars’ – a multi-media art show visually exploring elements of depression and self-harm, as well as the beauty of true healing. Check out the video showing her multimedia works. If you have a couple of bucks to contribute to Mental Health Advocacy and the Arts her Kickstarter campaign would appreciate it. You could even get your own healing Lavender Cabbage. 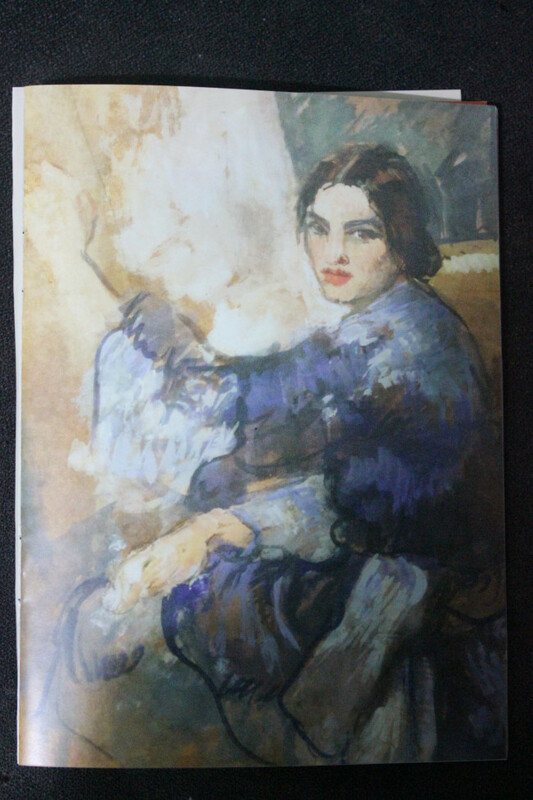 Serendipity – I first heard of artist Amrita Sher-Gill this week in a reference in Tarquin Halls’s Vish Puri mystery, The Case of the Missing Servant. I was intrigued to learn about another accomplished Hungarian woman artist. Okay, half-Hungarian. What a fascinating cultural blend in her family! Check out this great post including some lovely examples of Sher-Gill’s works. I have always been in awe of Amrita Sher-Gill ever since I happened to see some of her paintings in a leading Indian glossy. Those were the pre-Internet days when we had to rely on the library, books and media to update our knowledge. Apart from some tidbits I couldn’t get to know much about her. One of the artist’s self-portraits. My sincere apologies for the bad quality of the photograph and also of the ones that follow. Holy Mary – That’s an Elk! Walking around a few blocks from Temple Square in downtown Salt Lake, we stumbled upon some amazing public art. 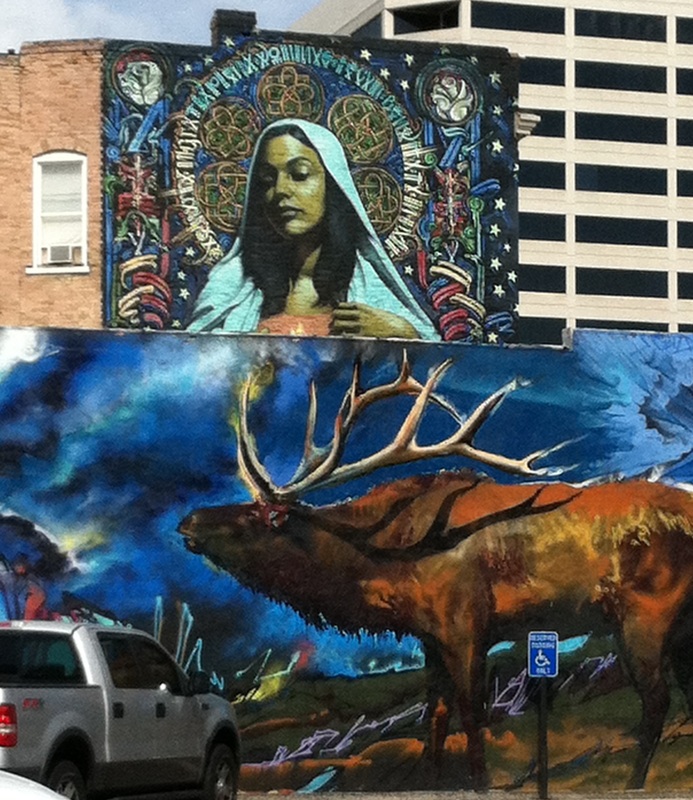 I liked the juxtaposition of Mary on the building behind the parking lot elk. Eurovision 2013 First Semi Final Results. Lori does a great job following the Eurovision contest, going on right now! Although Celine Dion and ABBA got their big break on this show, I doubt most Americans are aware of Eurovision, the huge song contest in Europe and parts of the Middle East. According to Dr Karen Fricker, co-director of the Eurovision Research Network, the contest was set up in 1956 not to promote international unity, but for the practical purpose of testing the scope of new broadcast technology in the 1950s. Every year it gathers a larger more devoted following, 125 million last year. That’s where Wolf Darling comes in. ByeAlex (born Alex Márta on 6 June 1984) is a Hungarian indie-pop singer who will represent Hungary in the Eurovision Song Contest 2013 in Malmö, Sweden. Márta, a 29 year old editor at Tattoo Magazine holds a masters degree in philosophy. His gentle love song Kedvesem with whimsical lyrics is about his darling who was raised by wolves. It is currently #2 on the Hungarian Top 10. Despite pressure to sing in English, out of respect for his fans he will be performing in Hungarian on May 16th in the Semi-Final 2 group. Those Hungarians are fiercely proud of their language. This version has English subtitles. And here’s another version; Translate Kedvesem to your language! Will you be rooting for ByeAlex with me on May 16th ? Desire in the Sculpture Park ? 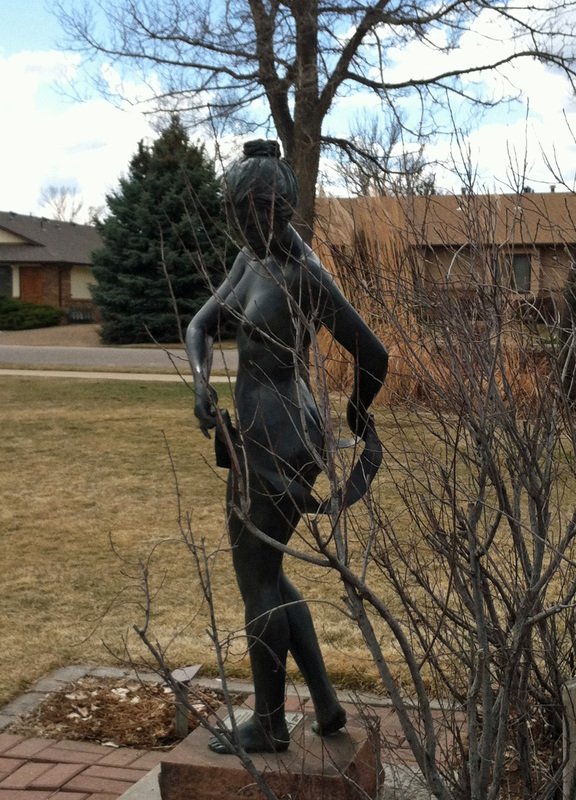 Whenever we are driving home from northern Colorado we try to stop in Loveland at the Benson Sculpture Garden. It’s a lovely family freindly park to stroll through and enjoy the art. Every visit we find something new.